1The winters in the early 19th century were exceptionally bitter. In 1801, everything froze for 13 weeks and James Biggs was born to James and Ann (nee White) Biggs just as this terrible winter was coming to an end. He was christened at Potterne, Wiltshire, England on 26 April 1801 (Source: England Births and Christenings, 1538-1975). 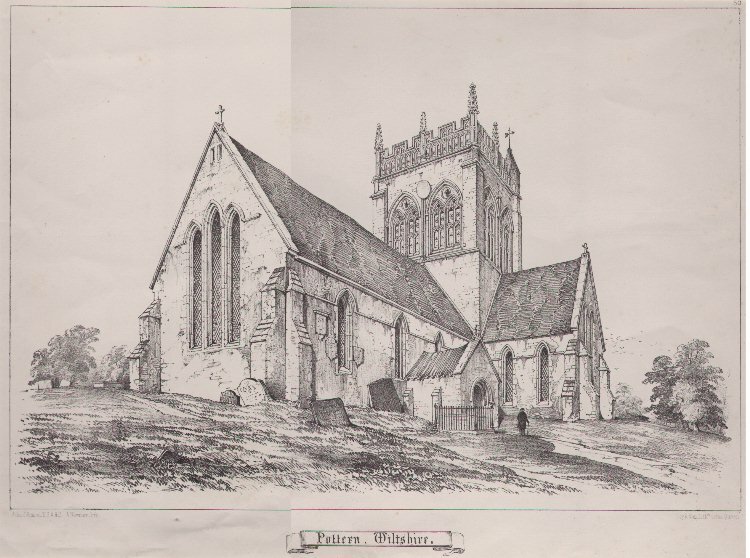 The following lithograph drawn around the early 19th Century shows the church where he would have been baptised. Although the Industrial Revolution had already begun, at the time of James’ birth in 1801, England had changed little in centuries. It was a rural country, dominated by agriculture. For most, the world was restricted to their village – like the Biggs family, many had lived in Potterne for generations. Devizes was the nearest market town, over two miles away, a fair distance to travel either on foot or with a horse as the only transport. Those of the inhabitants of Potterne who were not employed in agriculture worked in Devizes or in a brickyard. The local industries of smocking and bonnet making also provided some employment. His father was a yeoman, a class below the gentry, defined as a small landholder who was the mainstay of the countryside, hardworking with unquestioning loyalty to king and country. James was the youngest child of the family with an older brother, George (b 1791) and five older sisters, Rachel (b 1788), Susannah (b 1789), Miriam (b 1794), Mary (b 1797) and Ann (b 1799). Miriam had died the year he was born and Mary two years prior to his birth. There is no record of other children born into the family after James. James’ early years would not have been easy. His father owned a farm on Prince Hill and James would have worked on his father’s farm from an early age. His work day would have started before the sun came up and with tasks that might have included cutting, splitting, or carrying firewood for the stove or fireplace, tending to the farm animals, carrying water to the house, putting up or repairing fencing, working in the gardens, fields or orchards, and hunting, trapping or fishing to provide food for the family. Despite his rural upbringing James, learned to read, write, and do math. He was probably taught at home or in a simple one room schoolhouse where there was one teacher for all the grades. Usually, the teacher was a single woman, and she could be as young as 14 or 15 years old. Whichever way James learnt he mastered the basic literacy skills and this was to prove to his benefit later in life. 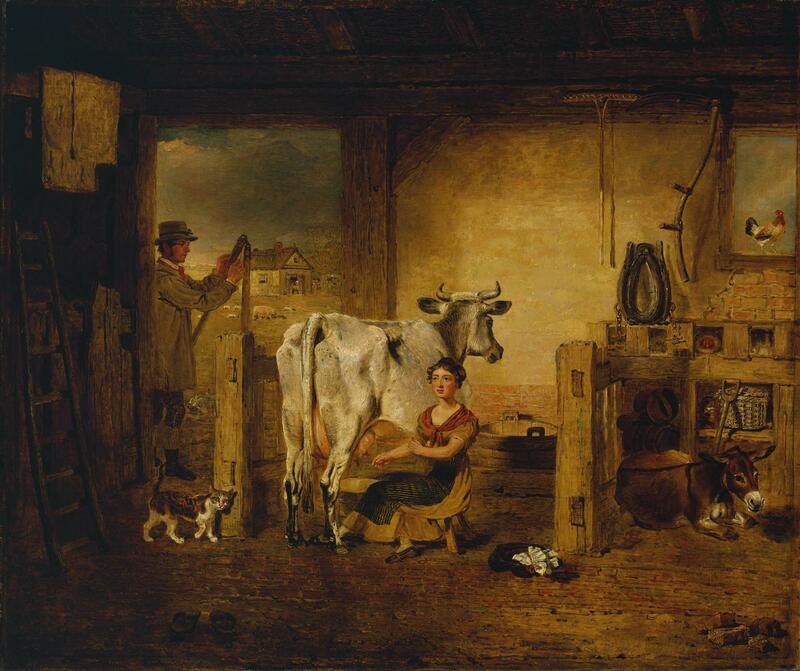 Life on the land was becoming increasingly difficult with 1816 being regarded as the year without a summer. Cool temperatures and heavy rains resulted in failed harvests in Britain and Ireland. Families in Wales travelled long distances as refugees, begging for food. Famine was prevalent in north and southwest Ireland, following the failure of wheat, oats, and potato harvests. Food prices rose sharply, and people demonstrated in front of grain markets and bakeries. It was the worst famine of 19th-century Europe. With such bitterly cold winters, fuel was a perpetual problem: ‘I have known dried cow’s dung collected and used as fuel, and bean stubs were counted almost a luxury as a heat producer… I remember too how in the dead of winter, when the roads were bad, a gang of unemployed hauled a farmer’s wagon to Radstock and brought back a load of coal.’ (Source: ‘Parishes: Potterne’, in A History of the County of Wiltshire: Volume 7, ed. R B Pugh and Elizabeth Crittall http://www.britishhistory.ac.uk/vch/wilts/vol7/pp207-217 ). James was now 16 years old the village of Potterne had become notorious for hooliganism. There were outbreaks of cattle-maiming in 1816-17 and the village was considered very turbulent, an indication of the harsh conditions being experienced and the increasing number of poor in the village. The villagers became renown not only for their hard work but also for their drinking and fighting and were nicknamed ‘Potterne Lambs’ in the English habit of giving a nickname that is the opposite of the true characteristics. On 7 November 1826 when he turned 25 years old James married Susannah Akerman Chandler who was 27 years old. The Chandler family were well known in the area as millers and maltsters and it could be assumed that James’ family were happy with this match as parents often chose their children’s spouses with an eye to increasing the family’s wealth or landholdings. Marrying in their mid-twenties was not unusual during this period, as it allowed the couple time to accumulate enough money and resources to establish their own household. A Country Wedding 1820 Krimmel. 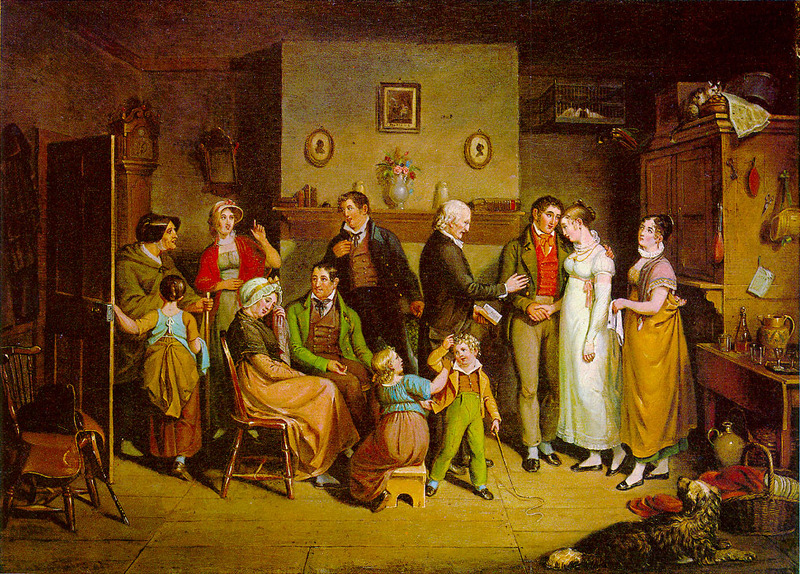 Although they married in the local church, this painting by Krimmel in Pennsylvania in the 1820s of a country wedding would be similar to the marriage of the daughter of a moderately prosperous farmer in the late 1820’s in England. The furniture and decorations of the rooms show perfectly the inside of a farmer’s dwelling. The bride’s wedding dress would probably be used as her regular “Sunday best” dress for the next year or so although it is likely to have been a more serviceable colour than the white shown in the painting (note that the hem of her dress is an inch or two above the ankle, as was practical for even the Sunday-best dress of a farmer’s wife). Susannah was pregnant at the time of their marriage and six months later on 30 May 1827 their son, Stephen was born. Less than two years later their son Alfred was born in January 1829. Birth records for both children show that James was still working as a farmer. 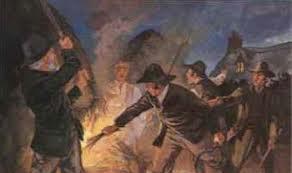 .In 1830 the rural workers of the arable south and east of England rose in the “Swing” riots. They demanded higher wages and an end to the threshing machine which destroyed their winter employment. They reinforced their demands with rick-burning, the destruction of the threshing machines and cattle-maiming among other things. Wiltshire was one of these “Swing” countries. Riots quickly spread across Britain and on November 8th 1830, they arrived in Wiltshire. Barns and haystacks were set ablaze, machinery was broken and in extreme cases, landowners were threatened by angry farm workers for beer, money or food. In Wiltshire alone, the Riots resulted in the deaths of 252 people and around 1,000 workers being deported to Australia. The future for farming was gloomy, after the passing of the Corn Laws in 1815 that signalled a shifting of power from the interests of the agriculturists to the industrialists. Farmers were passé with agricultural labourers regarded as backward yokels in smocks and chewing straws. Farmworkers made redundant by steam migrated to the nearest town to find work. Manchester and Sheffield quadrupled between 1801 and 1851, indicating the huge shift from agriculture to industry. It is little wonder given these conditions and the fact that his older brother George would inherit the family farm he decided it was time for a change in occupation and location. By the time his first daughter, Ellen, was born in 1831 his occupation was recorded as a baker and the family had moved to Amport in Hampshire. 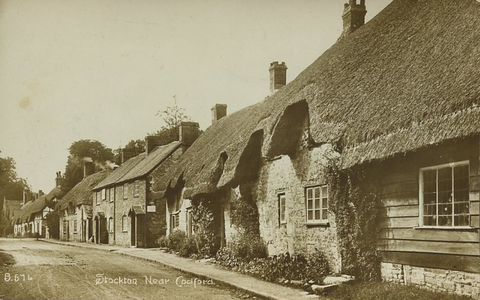 Amport was a small but very pretty village with a village green surrounded by thatched cottages. The village lies in the valley of the Pillhill Brook, a tributary of the River Test, a chalk stream famous today for its trout-fishing and picturesque countryside. The family stayed here until the mid-1840s and appeared to have made a comfortable living while they raised their children. For James every decade brought groundbreaking new inventions and the pace of life was rapidly changing. Changes were also happening in the family with the death of his father in law in 1840 and his mother in 1842. James reassessed his position and made another significant change in his career. 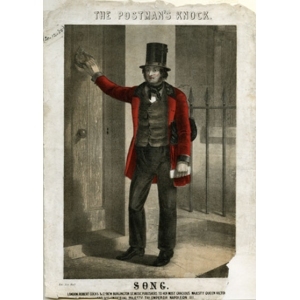 On 20 Jul 1847, James was appointed Messenger by the British Postal Service between Stockbridge and Barton Stacey (Ref: Post Office: Staff nomination and appointment, 1831-1969. Microfilm, POST 58, 80 rolls. British Postal Museum and Archive. London, England). By the 1851 census, James and his wife had moved to High Street, Stockbridge and all of their children had left home. Stephen had commenced an apprenticeship as a solicitor’s clerk in Gravesend, Alfred had become a waiter at the fashionable Clarendon Hotel in Bond Street, Mayfair, Ellen had taken up a position as a servant with a household in High Street, Kensington and although it has not been possible to verify her related census record, at 18 years of age Anna would most likely have taken up a position as a domestic servant. The next decade also brought many changes to the family. James’ father died in 1852. Stephen and Alfred migrated to Australia in the mid-1850s. Anna married James Maton in 1855 and moved to Lambeth and her sister Ellen married Frederick Green in 1857 and also moved to Lambeth. The turmoil was not to end there. In the 1861 census, James was still working as a rural messenger but is now living alone, although his great-grandnephew and family were living in the adjoining property. His wife Elizabeth had moved to Lambeth and was recorded as a lodger and was working as a needlewoman. While it is possible that the separation may have been due to some disagreement the reason is more likely to be related to his daughter. Records show that their daughter, Ellen died on 15 May 1868 at the age of 36 years. Ellen was living with her husband, brother in law and her husband’s cousin. Given that Elizabeth’s lodgings were not far from her daughter, it is possible their daughter may have been ill and needed care. There were no records found of any children born to this marriage. Less than two years after the death of his daughter, James died on 10 February 1870. His will was probated on 8 September 1870 with effects of less than 20 pounds and his son in law, James Maton, named as Executor. His wife, Sussanah, continued to live as a lodger, at 12 Alma Terrace, Vauxhall Gardens with her sister Arabella, until her death in 1873.